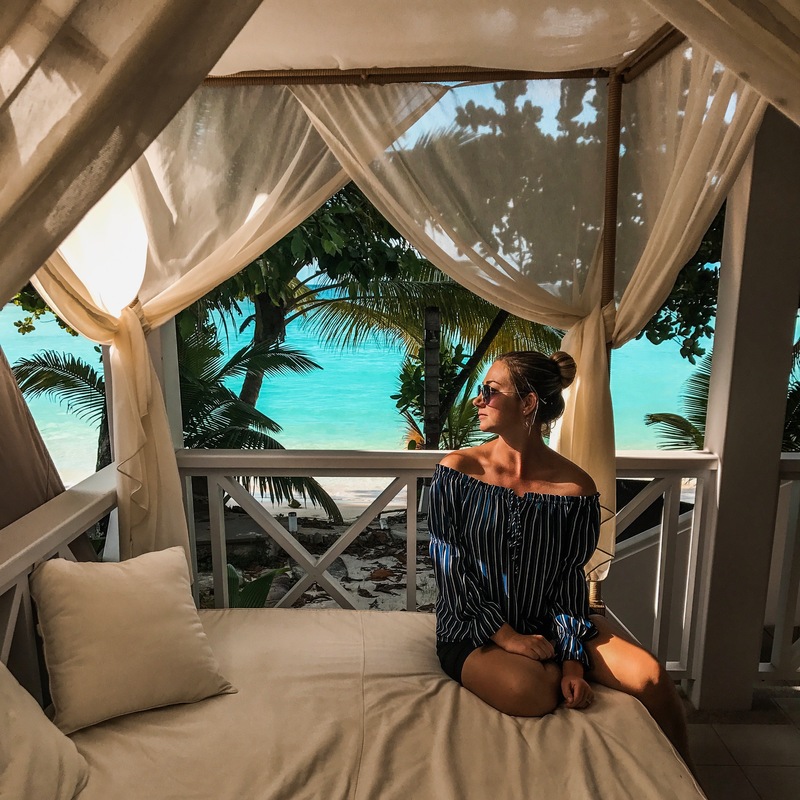 Robinson Crusoe Luxe at La Belle Tortue Lodge - Where to, Peanut? 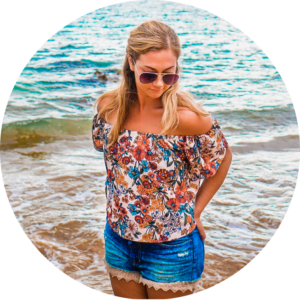 “I think we might be the only ones here,” I muttered to my husband as we sat down to a candlelit dinner in the open-air restaurant space at La Belle Tortue Lodge. 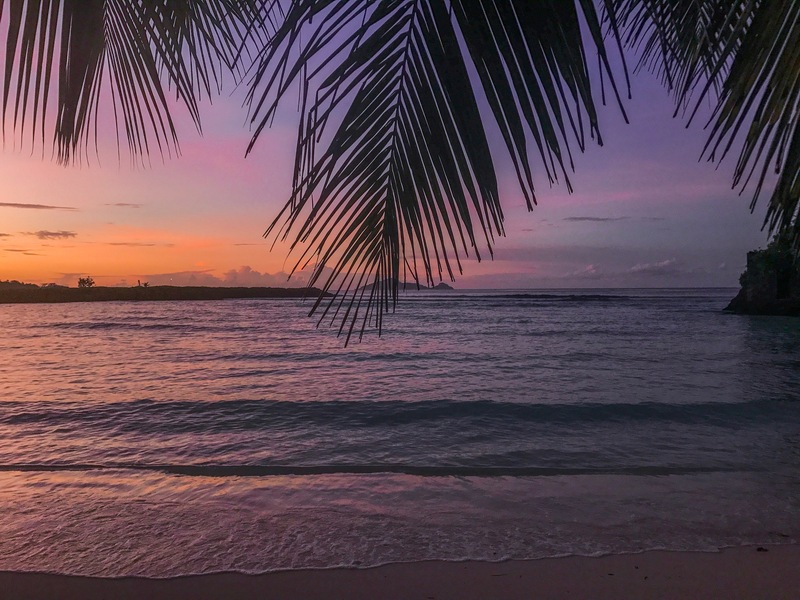 With soft downtempo music playing in French, an island breeze, and a wonderfully decadent four course meal… Dreamy does not even begin to describe it. 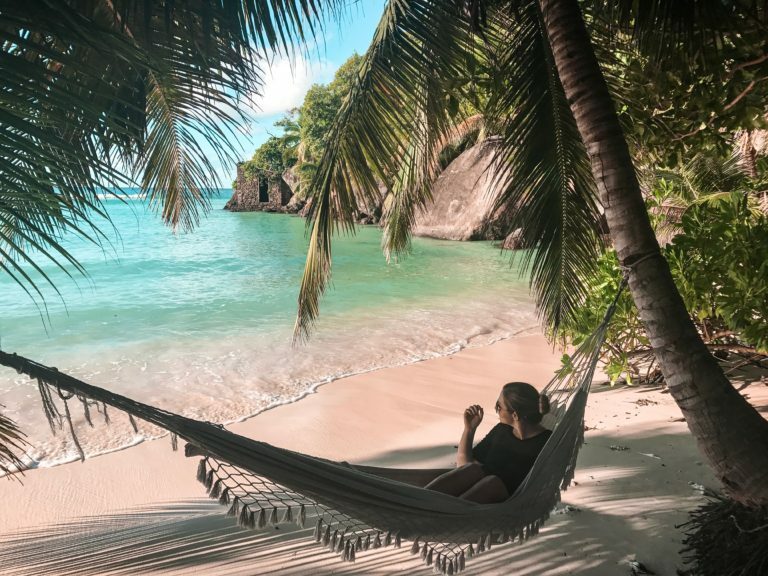 La Belle Tortue Lodge is a independently owned property on Silhouette Island, an island designated as a nature preserve in the Seychelles. 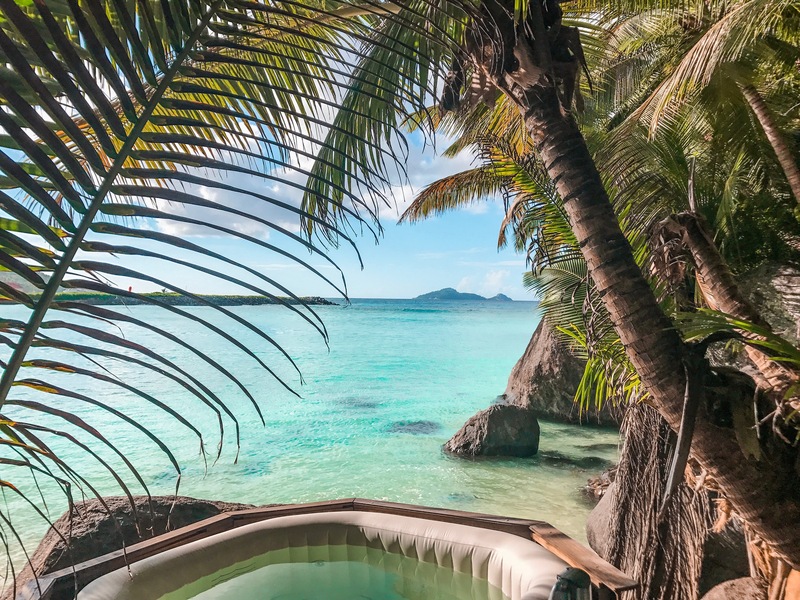 With only seven rooms set on a pristine lagoon, La Belle Tortue has the feeling of existing in another realm, despite only being an hour by boat from Mahe. It is a truly exclusive experience, with zero pretense, and a perfectly relaxed ambiance. Our home for four nights at La Belle Tortue was the Anne Dieu-le-Veut Villa. Situated in a two story configuration, there is a small balcony off the bedroom upstairs, and a large outdoor terrace off of the living room downstairs. A gauze-draped daybed sits outdoors on the ground floor terrace, and I spent many hours there reading and relaxing. The villa has understated, yet richly hued island fabrics accenting the interior spaces. 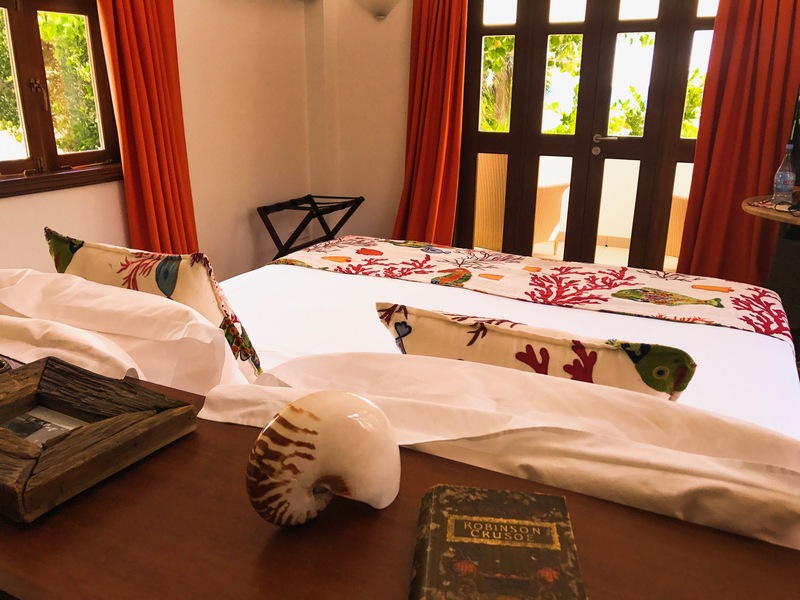 Attention to detail in the villa design is wonderful, and I smiled when I saw the antique copy of ‘Robinson Crusoe’ sitting on the headboard. With just one road, the island is best explored on foot via ample hiking trails of varying difficulty (guides available for hire). The lagoon and surrounding reef are teeming with life, excellent for snorkeling and swimming. 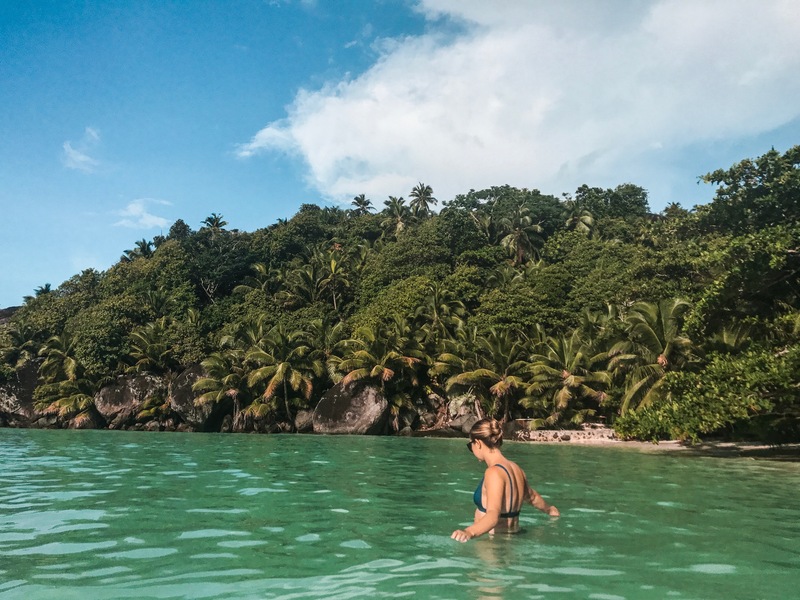 At low tide, I loved sunbathing in the lagoon, whose waters were delightfully warm. Even in the rain, the island is beautiful, and swimming in the lagoon during a storm remains a fond memory of La Belle Tortue. Silhouette Island is a true haven for nature lovers who love a balance between activity and relaxation. 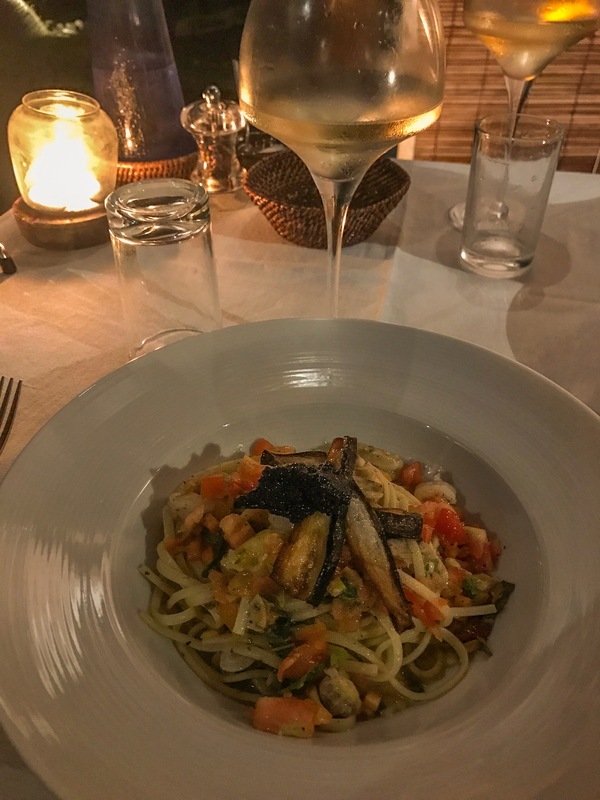 Co-owned by an acclaimed chef from the south of France, I would not be exaggerating to say the food at La Belle Tortue eclipses everything else I had the pleasure of eating in the Seychelles. Chef Morgan blends traditional French techniques with a dedication to sourcing local ingredients of the freshest quality. Also the chef at a Michelin starred restaurant in Nice, Chef Morgan’s culinary talents shine in the relaxed atmosphere of his island kitchen. 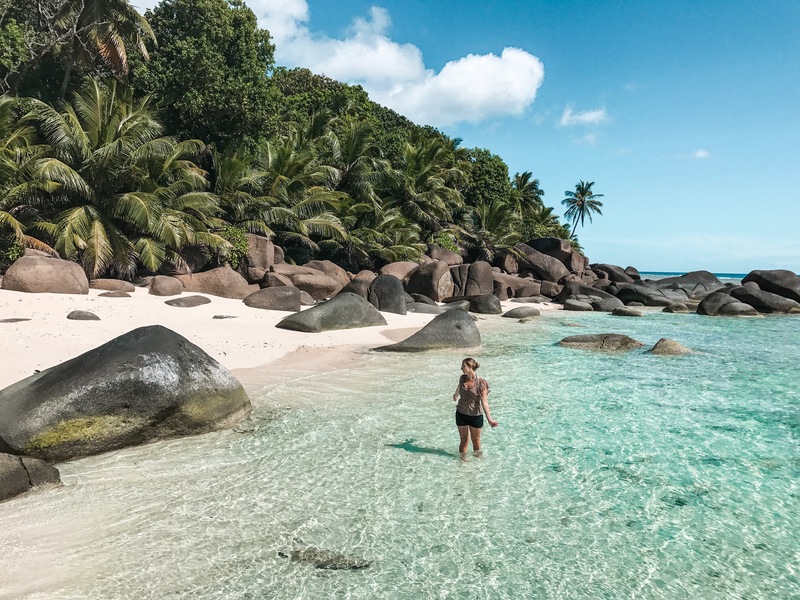 Think ingredients like black truffle, caviar, and foie gras as elements in dishes alongside sumptuous Seychelles seafood, served barefoot in an open air restaurant which has, at maximum, a dozen people dining. As I alluded to at the beginning, my husband and I were the only two guests for the first two nights of our stay. The property was just reopening for the high season, and we were the first guests to arrive! This created a ‘private island’ type of experience that was so special and romantic for us. Service at La Belle Tortue is welcoming, and laid back. We loved chatting with Morgan and Pauline, whose friendliness was quite contagious. To say La Belle Tortue is dreamy would be a huge understatement. With an intimate setting, vast expanses of untouched nature on land and sea, gastronomic cuisine, and luxurious details, I almost feel like I am describing a fictional place. For those travelers seeking refuge and and unparalleled sense of calm, look no further than La Belle Tortue Lodge.